The side effects that I am listing are manageable, but can be problematic if not addressed. Addressing these issues does require some adjustment of one’s lifestyle. Many people including myself have experienced these issues however they can be overcome with a little bit of work. The truth of the matter you will because the combination of salt, fat, and sugar are a drug. When you eliminate them in combination with stopping the consumption of soda this will cause a tremendous impact to you physically. Sugar along with caffeine is a drug, so many individuals experience withdraws when eliminating them. My favorite statement to friends and colleagues is the following: “Every restaurant makes a great salad”. Basically, it is hard to mess up putting some vegetables on a plate. However, vegetarian food has gone main stream. Philadelphia a city once known for its cheesesteaks and obesity has a booming vegetarian restaurant scene. Additionally, if you visit a Subway or some Burger Kings they have a vegetarian patty meat substitute. Solution: There are a couple of solutions. 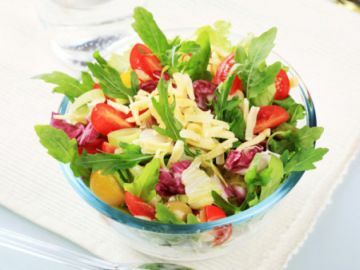 The tried and true salad is always a great go to. Next, sometimes it may be best to eat beforehand so that you are not stuck if the menu isn’t vegetarian friendly. A tactic that I employ sometimes is being a flexitarian when I am out meaning that I will eat baked seafood. Lastly, it may be required to request a restaurant that you know has some vegetarian friendly items. You must do what makes you the most comfortable. This is a slightly tricky one. The general idea is if you eliminate some foods from your diet, your body will create a new baseline without those foods. The human body is big chemical reaction that is trying to keep things in balance. When you make changes to your body, for example change your diet, then that the biological/ecological systems in your body change. As a result, if you go back to eating chicken after 4 year absence, for example you could have all types of digestion problems. Additionally, the mere smell of it may make you sick. The sickness described may be indigestion, vomiting, diarrhea, etc. Many people who decide to no longer be a vegetarian power through the sickness to return to a standard omnivore diet. My advice would be to ease back into it over the course of many months, so as to cause your body the least amount of harm. Solution: You can go all crazy and double down on meat to get back to an omnivore diet. Another alternative would be to gradually start eating meat in small portions weekly and work back up to a daily diet of meat. You have to do what is best for your health, patience, and schedule. Vegetarians need to really provide their bodies the necessary vitamins, protein sources, and supplements to fuel themselves. Women need to be particularly careful as a result of experiencing their monthly menstruation cycle. PMS coupled with the dip in iron related to that time of the month can create quite a challenge to keep one’s energy level up. Wish I had a simple solution; however I am still researching the issue. Solution: The approach that I have embraced is a high potency women’s multi-vitamin, B complex ( a methy type of B) supplement, and rest as needed. After the first day, the tiredness seems to lessen with energy levels going back to normal. Check out GNC for options as well as a vegetarian multi-vitamin called Vitamin Code at the Vitamin Shoppe. Sadly, I am learning that all vitamins and supplements are not created equal, so be careful what you buy for the best results. These post is not meant to scare anyone just really inform you. Also you may not experience any of the things listed. However, it is my goal to create a balanced discussion about the vegetarian lifestyle. 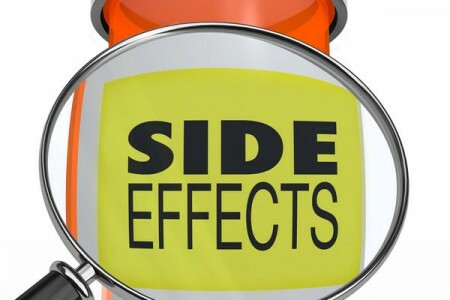 These “Worst Side Effects” are very manageable and may not happen to you. As always, I am rooting for you! Big Smile. Okay readers, do you think this post was realistic or provided any helpful information? Please let me know your thoughts.